NOT TOO FAR AFIELD. 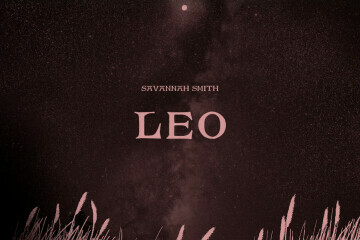 Local songstress Savannah Smith will release her new album, Leo on March 30. The record is named after her great-grandfather Leo. It’s been about nine years since the last Savannah Smith project – an EP called Leaving Eau Claire – was released. That’s certainly a long tip of the hourglass, one that found Smith leaving her native Chippewa Valley to the bustling arts scene of Minneapolis to start a life out there. She studied audio engineering, played some shows at tons of venues with her signature ukulele, made a lot of friends, hopped around jobs – but about year ago the pace and stressors of city life were starting to wear on her. Maybe it’s that creative energy, maybe it’s an inward feeling of needing to let go – but after sitting on a full length album for a while, Smith is feeling ready to let it out into the world. It’s called Leo, named after her great-grandfather whose house was the incubator for much of the songwriting on the record. And even though Smith has been making music in the Midwest for a decade or so, this record is her first proper debut. Our city, as is well-documented, has a history with artists retreating from everyday life to get some intensely personal songs out in solitude – and Smith is quick to acknowledge the similarity – but that process proved to be immensely cathartic. She sidelined her trusty ukulele as her sole weapon of choice, and branched out with a more guitar-driven sound as well. The production on Leo is intentionally not sparse though, and here she offers a rich, full sound that embellishes her cutting words and crystal clear voice with brushy drums, subtle baselines, and organic percussion largely made with desk tapping, rubbing hands on jeans, creaks, and shakers. It was all coming together with a new confident sound, richer than ever before. Smith says she’s her “own biggest critic,” and a lot of the album’s delay she attributes to second-guessing herself, holding herself back, and overthinking it. The personal nature of the songs – many of which were written in times of self-discovery and pain – were an internal barrier as well for her. When you’re writing about difficult things like lost friends and your own self-assuredness, these aren’t exactly easy topics to confront again and again. But after shelving it for a while and letting it simmer, returning to it fresh proved to be a turning point. But listening to the record with new ears is incredibly refreshing. Smith sounds more poised and sure of herself than ever on Leo. Her gutting words are surrounded by throngs of fresh sounds and natural energy – even if they were made a while ago. She said finally getting these songs out into the world is a good feeling. Like really good. As soon as she announced the record was coming out, it was like a waterfall of creativity rushing back to her. 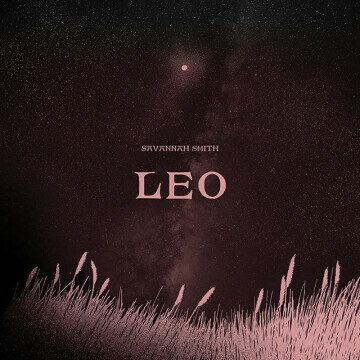 Smith has plans to release Leo on March 30 with a show at Mortimer’s Bar in Minneapolis, and the night before here in Eau Claire at the Oxbow Hotel gallery. And then after that, it’s the world. She’s channeling her new artistic energy into new songs and new ideas, and she no longer has to feel like this is holding her back.